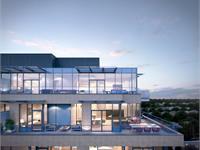 currently under construction at 989 West 67th Avenue, Vancouver. The development is scheduled for completion in 2021. Winston at South Oak has a total of 43 units. South Oak is set to unfold with the arrival of this highly anticipated collection of 43 contemporary condominium and townhome residences. Rising eight storeys above the corner of 67th and Oak Street, Winston is set to bring a striking, modern facade to the South Oak neighbourhood. Created by renowned architectural firm, IBI Group, and curated by Portico Design Group, Winston features sophisticated interiors with high-end finishes and refined natural materials. A refined collection of forty-three one, two, and three-bedroom condominium and townhomes ranging in size from 512 – 1,650 sq.ft. Live amid a diverse selection of essential amenities, including transit, world-class schools and recreation, YVR airport, and shopping at Oakridge Centre and Marine Gateway. Be inspired to share new experiences and create connection. The W Club at Winston brings the community together with 5,300 sq.ft of specially curated indoor and outdoor spaces including an entertainment lounge, family-focused kitchen, dining area, and cardio room, all surrounded by a beautiful wrap-around patio. 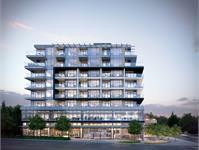 Based in Vancouver Coromandel Properties is a proud local Chinese Developer, committed to building homes with a strong connection to family, community and the environment. Winston presents the opportunity to be part this legacy and an evolving residential community. 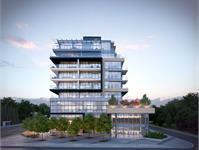 In preparation for construction commencing on site, the Winston Sales Centre is now closed. Please contact for project updates. Your inquiry will be delivered to the Winston at South Oak sales team, who will send you more information about this development.